The Jeffrey and Diane Ginsburg Hillel House will be established in a 1930 Tudor-style home on Stetson’s DeLand campus. Stetson University and the Ginsburg Family Foundation announced today the establishment of the Jeffrey and Diane Ginsburg Hillel House and a $2 million gift to renovate, update and furnish an existing university property. In 2017 Stetson University made a commitment to become a school of choice for Jewish families and the announcement today of the Jeffrey and Diane Ginsburg Hillel House is a significant step forward. 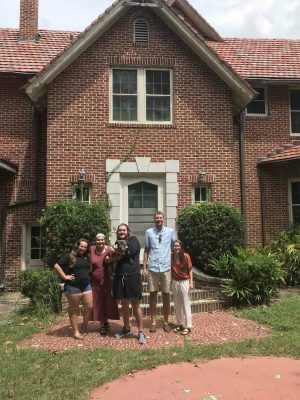 Outside the Hillel House are, left to right, Stetson students Rebecca Klages, Noa Bauman, Sam Friedman (holding the Hillel Hound Renegade), Shawn Parker and Kennedy Ryder. 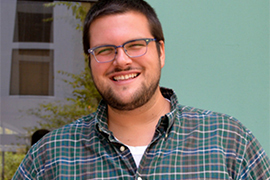 Hillel started at Stetson in the 1980s, but its cultural presence really started to take off in May when it hired its first full-time Hillel director, Sam Friedman. This semester, Hillel has held weekly Shabbat dinners and Jewish educational programs, holiday celebrations and community service events, and Friedman has been visible with Jewish and non-Jewish students since his arrival. 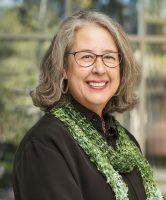 “At Stetson there is an enormous opportunity to build a welcoming community of Jewish Hatters connected to Stetson, to Israel and to each other,” said Friedman. “I can’t think of another university as committed to growing a thriving and sustainable Jewish community on campus as Stetson. We are very lucky,” said Friedman. The Jeffrey and Diane Ginsburg Hillel House will be established in a Tudor-style home that has been a fixture of the DeLand campus since 1999 when it was purchased from the Booker family, but in one way or another the house has been part of Stetson since it was built. While renovations are still in the planning stages, it is expected that the home will be ready at the start of classes in fall of 2019.